law related to breakdown and recovery operations. It also aims to clarify the position on whether specific jobs can be regarded as recovery work, or transport work under an O-licence, which has relevance for vehicle collections in the salvage and dismantling sector. a legal document in itself, and operators should still refer to specific legislation and take independent legal advice if they are unclear on any topic. in legislation include breakdown vehicles, recovery vehicles, specialised recovery vehicles and road recovery vehicles. to the construction of a vehicle, whilst another might dwell only on how a vehicle is being used. VOSA has also used the opportunity to provide what it describes as a “more pragmatic interpretation, in some areas to produce practical solutions to persistent interpretation problems”. 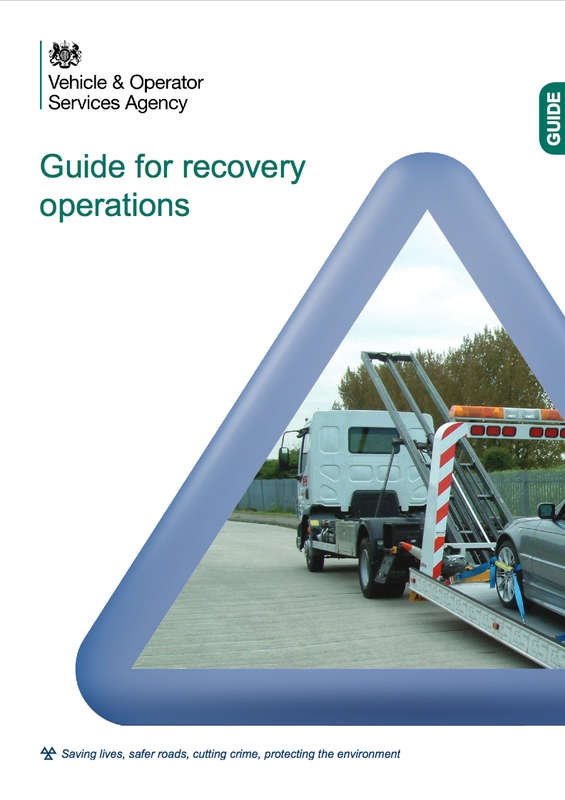 The role of O-licensing is fully explained and the guide aims to clarify the difference between breakdown and recovery work and ‘transport’ work which would require a licence. “It isn’t enough for a vehicle to have all the physical attributes of a recovery vehicle; it must be used for the specific purposes detailed in the definition. “For example, a ‘breakdown’ or ‘recovery’ vehicle transporting a non- disabled car from one garage forecourt to another, would be classed as a haulage operation, despite what the towing vehicle might look like. of ensuring vehicles are roadworthy, including walk-round checks by each driver taking over a vehicle, and refers to further guidance which is available in VOSA’s ‘Guide to Maintaining Roadworthiness’ and ‘Categorisation of Defects’. VOSA has confirmed that the guide will be kept under review and updated when necessary and it encourages operators to make contact if they believe that an individual inspector has made an incorrect interpretation with regard to recovery operations so that the matter can be fully investigated by VOSA managers.